Naturally dyed objects are sensitive to pH, so it is always best to wash your naturally dyed Everlea Yarn in pH neutral soap like Eucalan. 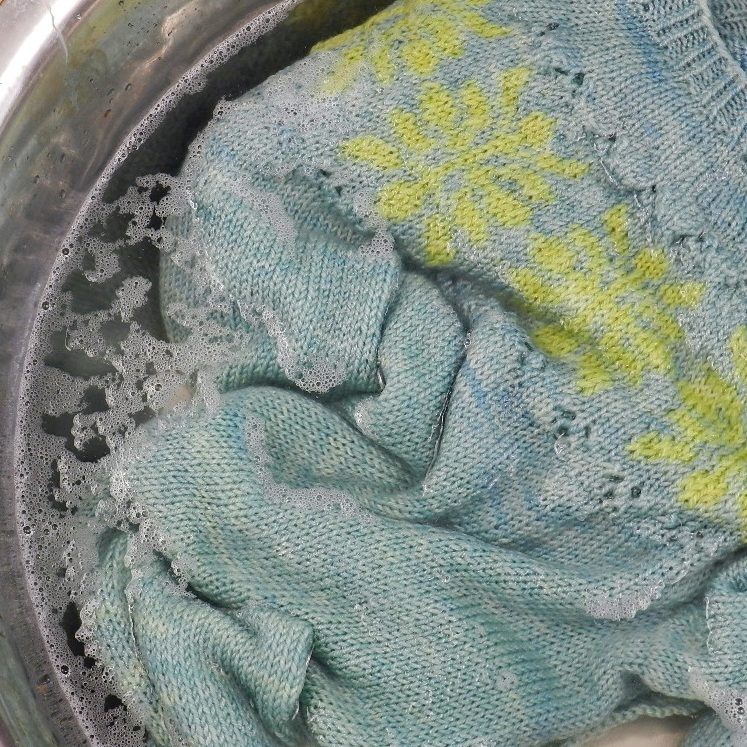 We recommend that you hand wash any items made with Everlea Yarn. Squeeze excess water out (never wring), then lay them between a folded towel and step on the towel to soak up any more water. Finally, lay them flat to dry on a dry surface. Our organic merino yarns are ecologically treated to be shrink resistant which means, technically, you can put them in the washing machine using tepid water and on the delicate cycle and they won’t shrink, but we don’t use that practice ourselves. I store all my knitted garments either in a closet or drawer in the winter and individually ziplocked and in tupperware storage during warmer months to avoid moth damage.